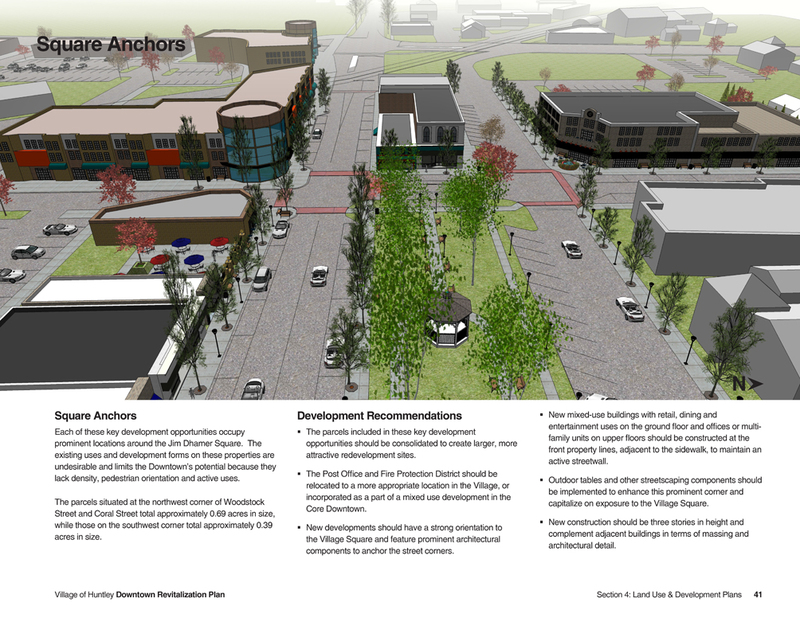 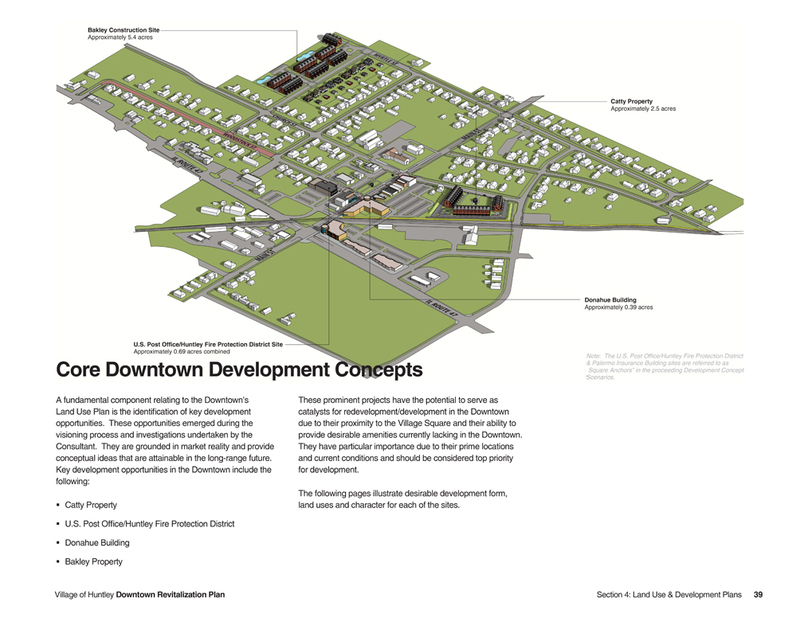 Houseal Lavigne Associates was retained by the Village of Huntley to create a Downtown Revitalization Plan to generate ideas, create excitement and chart a course for reinvestment Downtown. 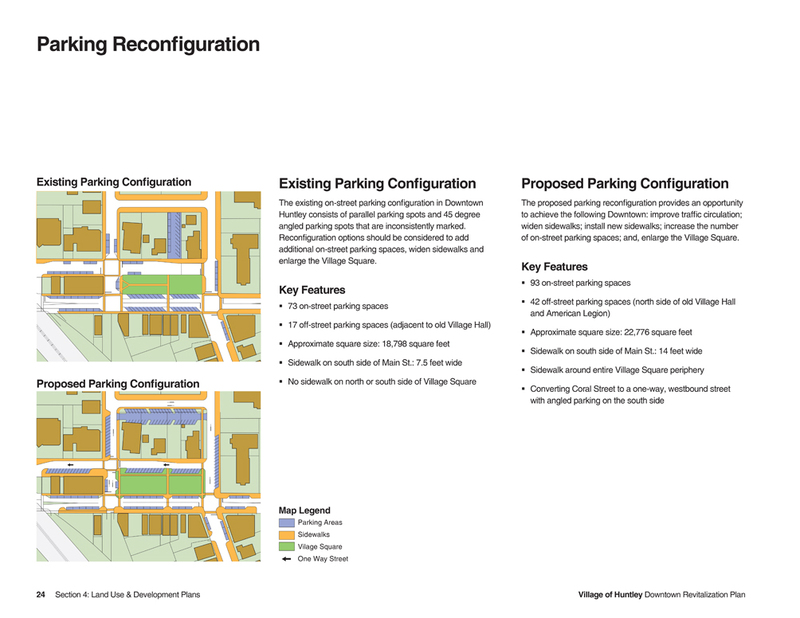 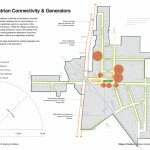 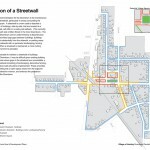 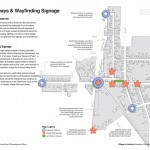 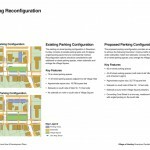 Utilizing information collected during community visioning exercises and a visual preference survey, the Plan analyzes existing conditions and trends in the area, sets forth goals and implementable policies, and illustrates a vision for physical, social and economic improvements in the Downtown. 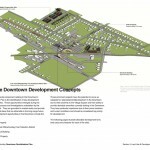 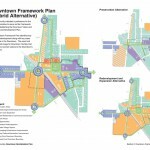 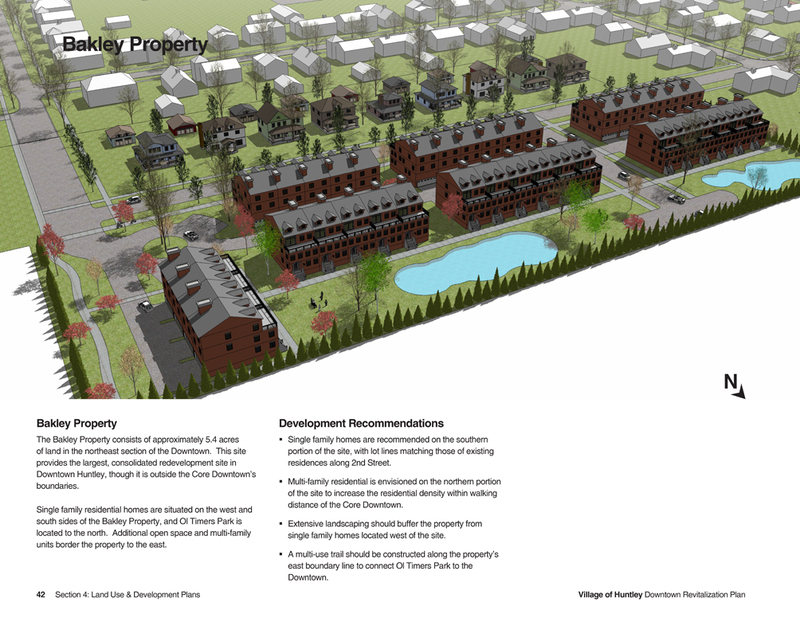 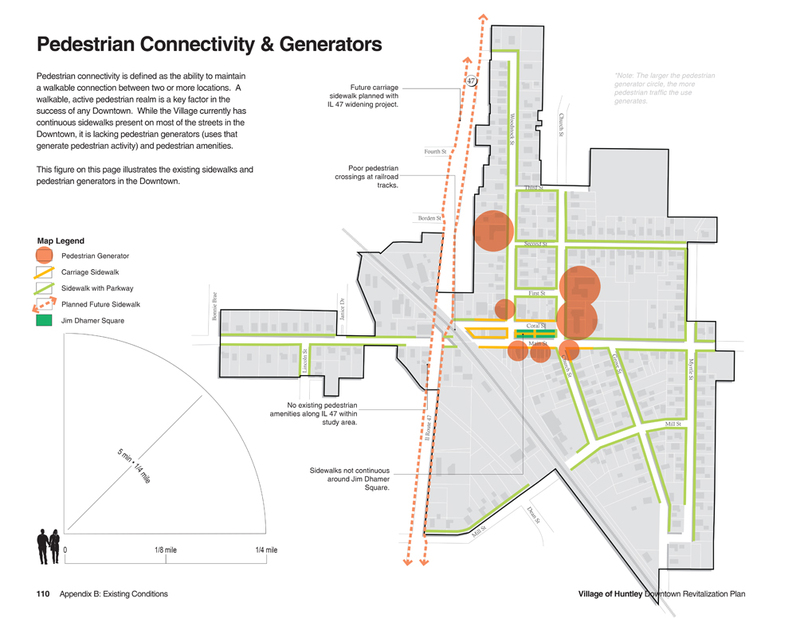 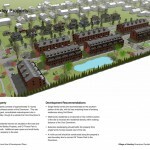 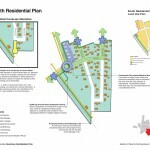 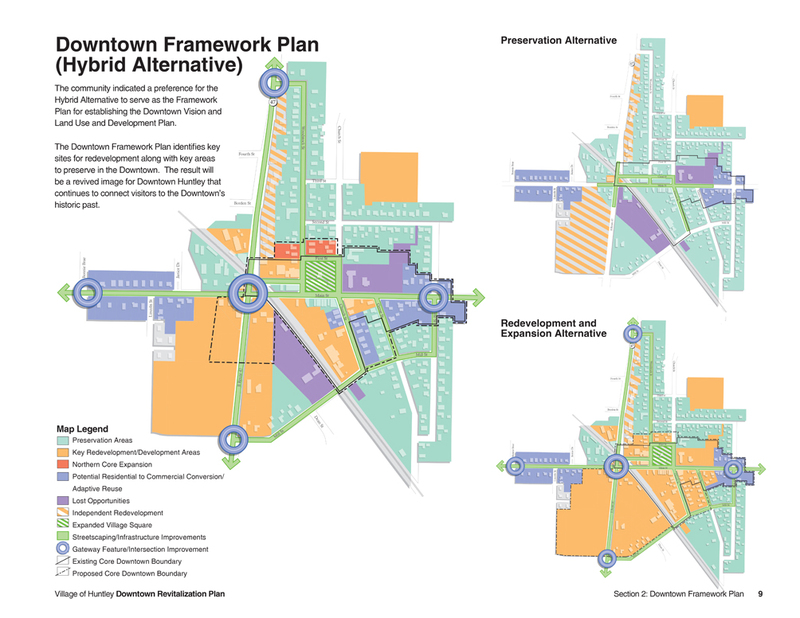 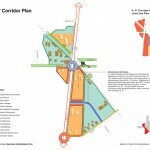 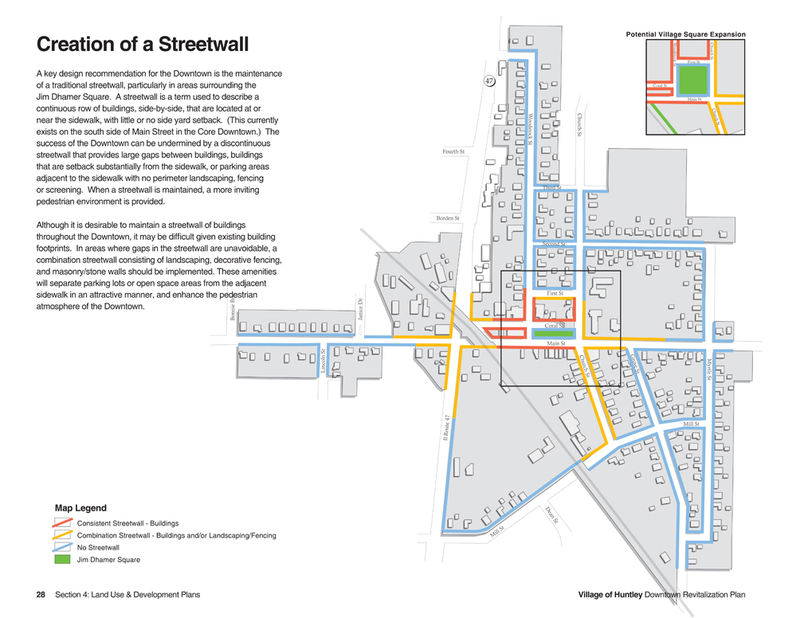 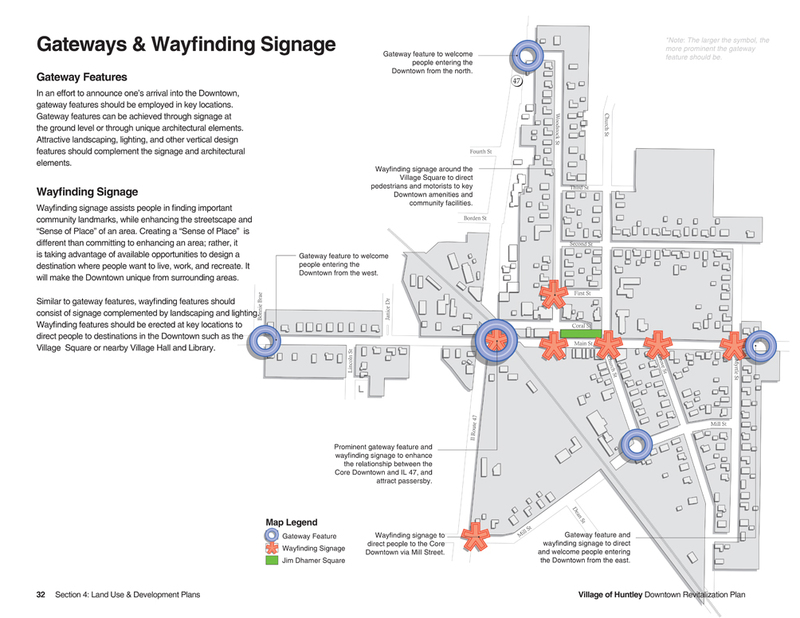 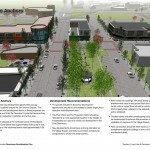 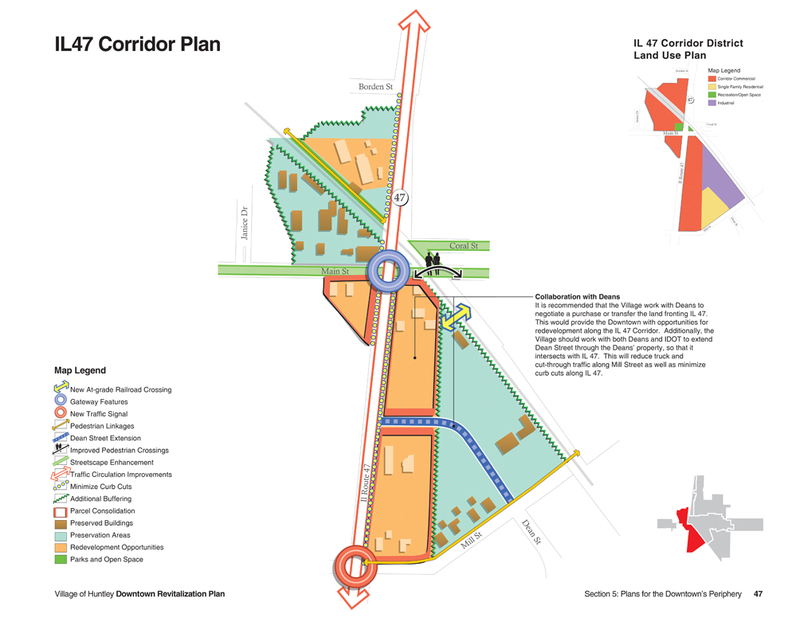 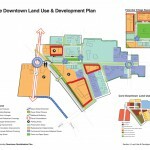 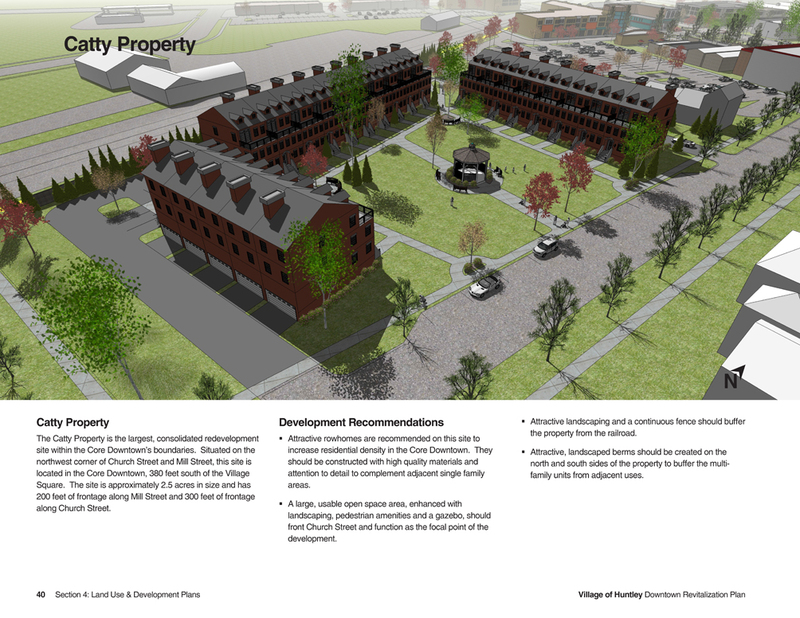 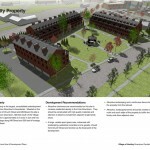 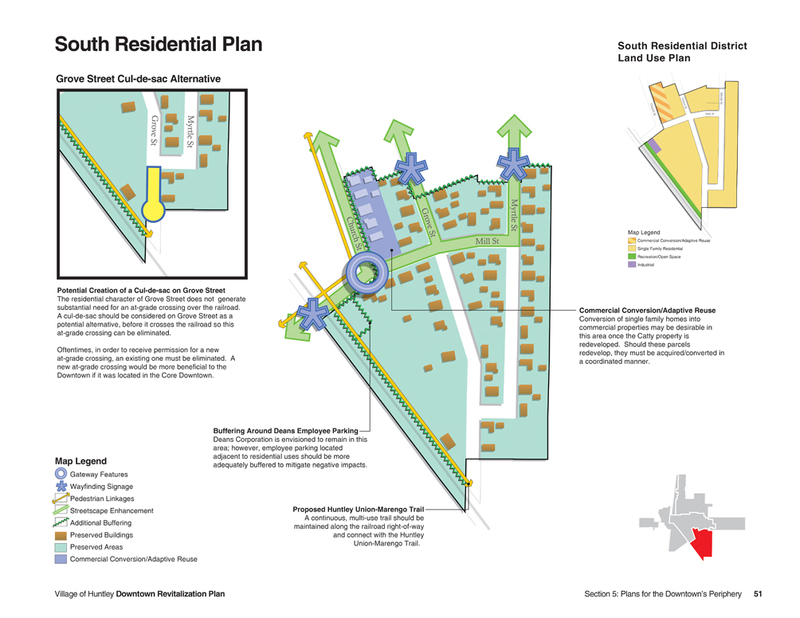 The Plan employs an approach that utilizes both preservation and redevelopment, creating a revived image for the Downtown with connections to its historic past. 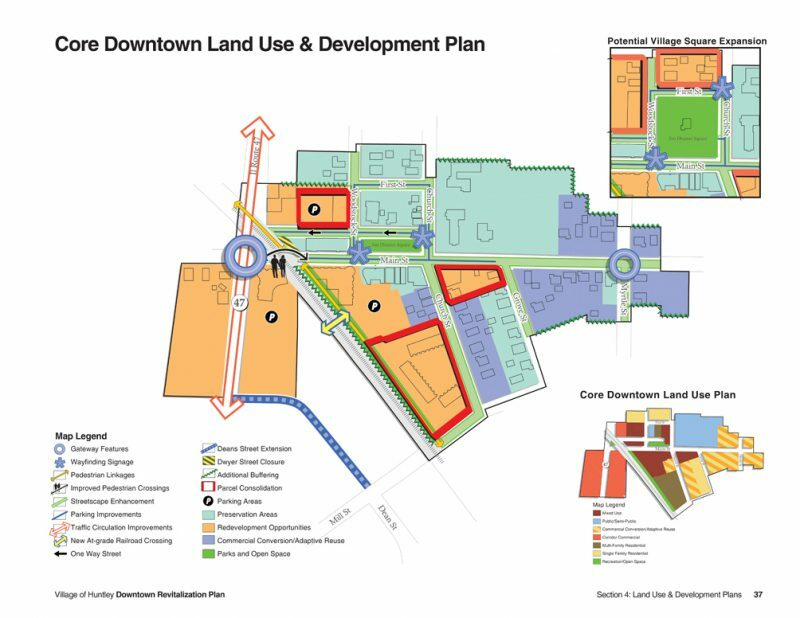 Development visualization scenarios were created for key redevelopment sites to provide inspiring images of the Downtown’s potential.